With the election dates drawing closer, the All India United Democratic Front (AIUDF) has finally decided on its stakes in the Lok Sabha polls announcing that the party will contest for only three seats out of 14, as per reports. The decision, as maintained by party chief Barduddin Ajmal, is borne out of its resolve to avoid division of “secular votes” which the party claims is something the BJP would try to take advantage of. AIUDF will now be contesting only Dhubri, Karimganj and Barpeta which are the seats the party had won during the 2014 elections. Ajmal is the sitting MP from Dhubri. The quickest reaction to this decision by the party has, however, come from BJP and its ally Asom Gana Parishad (AGP) who claim that this clearly goes to show that there is “unholy nexus” between AIUDF and the Congress. “Earlier AIUDF had said it would contest field from all constituencies having minority vote base. This sudden change of plans is a clear signal that the AIUDF and Congress have entered an understanding,” noted president of BJP’s Assam unit, Ranjit Kumar Dass. AIUDF, however, denied any understanding between the party and the Congress and that the Congress is their main opponent in the three seats AIUDF has decided to contest, according to a report. 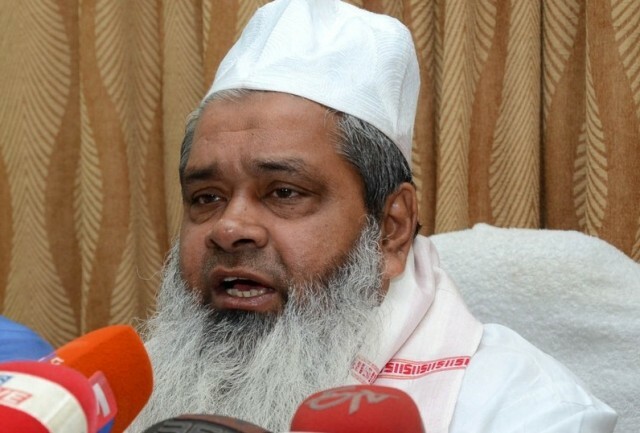 “Congress is our main opponent in the three seats we have decided to contest from,” said AIUDF general secretary Aminul Islam in a statement. “Our sole aim is to stop BJP because of its politics of playing up religious sentiments and because of its anti-Assam policies,” added Islam. Congress has, however, resorted to attacking AIUDF of having become a weak party. “AIUDF has decided to stay out of contesting the eight seats because it has become weak,” said former chief minister and Congress leader Tarun Gogoi. “Had AIUDF been a strong party, it wouldn’t have come closer to the Congress,” Gogoi added in response to an appeal the AIUDF made on Saturday to Congress to come together to fight BJP. “BJP attempted to bring Citizenship Amendment bill; it has failed to arrest unemployment besides making U-turn on land swap deal with Bangladesh. AIUDF being a secular party, it is duty bound to stop BJP,” asserted Islam.